Nokia is expanding its Here Beta mapping app beyond its original restriction to Samsung devices, now opening it to anyone with Android 4.1 or higher. You can grab the app directly from Nokia and sideload it onto your phone. Don’t know how to do that? We have a handy, step-by-step guide. Nokia did not indicate if the app will make its way to the Play Store after the beta version is all polished up, so you’ll have to sideload it on your own for now. 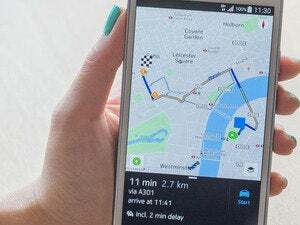 Nokia’s Here Maps will route you around those European landmarks with ease. Most of the feature set will be familiar to Google Maps users, though it has one trump card: offline navigation. You can not only save a map offline (as you can with Google Maps) but get turn-by-turn voice guidance for your next jaunt through the wilderness or when traveling overseas. Nokia Here Beta also includes transit information for 800 cities, location sharing via Glympse, and syncing your map data through a desktop web app. The story behind the story: While Google Maps is still the king of digital mapping, Nokia’s Here is widely respected as a worthy contender. The offline maps and navigation feature is also great for travelers who want to save on data by caching maps in advance. But if Nokia is going to gain wider attention on Android it needs to get into the Play Store, as sideloading apps is generally the domain of enthusiasts and tinkerers. 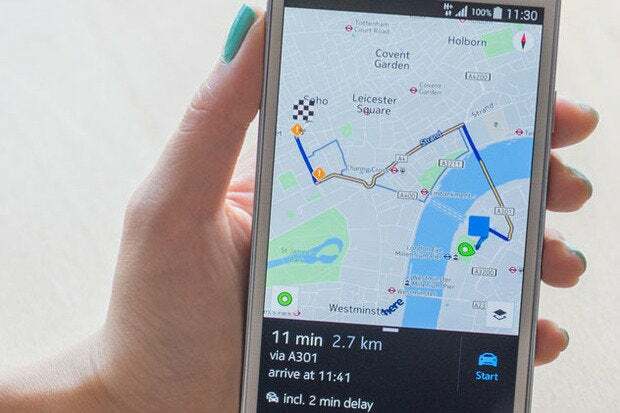 This story, "Nokia Here Maps Beta now available for anyone with Android 4.1 or above" was originally published by Greenbot.